Patrick Marleau doesn't always need a packed-to-the-rafters NHL rink to bring out his love for the game. Sometimes he can get that same rush right in his very own home. Shortly after Marleau and the San Jose Sharks, the second seed in the Western Conference, sent the Los Angeles Kings to the sidelines courtesy of Joe Thornton's overtime winner, hockey was still on the front burner for the native of Aneroid, Saskatchewan. The post-season, at least so far, has been fun for Marleau and his teammates. One of the premier offensive talents in the game, the veteran of 1,035 NHL regular season games has carried his strong play into the playoffs, scoring twice and adding three assists so far. He's hoping to continue to produce in the second round against the Nashville Predators, who eliminated the Anaheim Ducks in six games in their opening-round matchup. Marleau also knows he and the Sharks can't take anyone lightly. It also had one of the more memorable overtime celebrations. Would Marleau, the all-time Sharks leader in goals, even strength goals, power play goals, points, shots, and games played, consider mimicking Thornton's exuberant celebration if he nets an overtime tally? Another thing Marleau, who played in the NHL All-Star Game in 2004, 2007 and 2009, won't be doing is looking back at San Jose's series win over Los Angeles. Marleau doesn't mind looking side-to-side, either, namely taking stock of who he has the luxury of playing with. 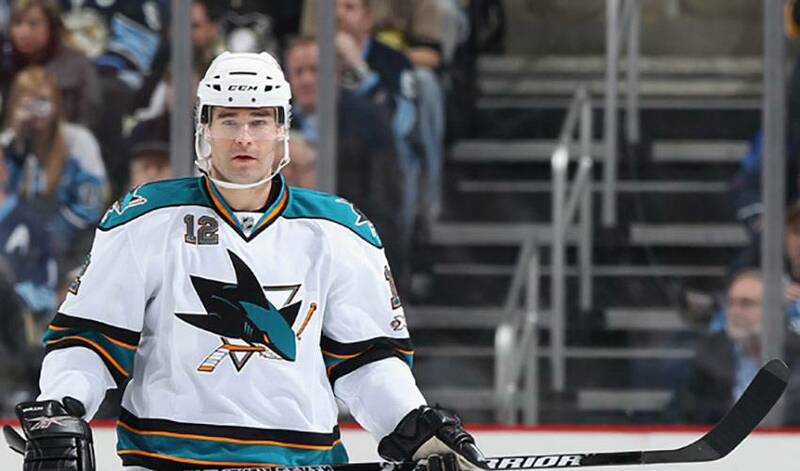 Marleau, who won a gold medal with Canada at the 2010 Winter Olympics in Vancouver, is hopeful this is the year the Sharks can make a big splash. At the very least, not all the hockey games Marleau takes part in this year will determine San Jose's fate. Maybe dad can get him to announce Marleau as this year's playoff MVP recipient?